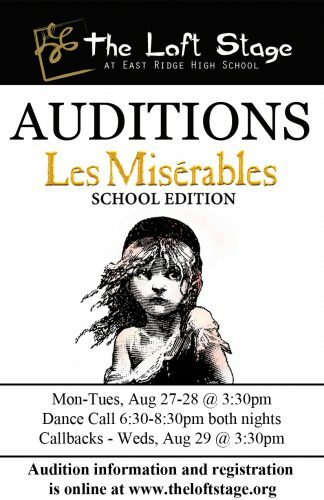 Thank you to everyone who auditioned for “Les Miserables.” We were so impressed with what you showed us and are incredibly proud of the work you did. We had a higher number of students audition this year than we have the past 4 years! If you were not cast, please continue to audition in the future and consider joining tech. The first technical crew meeting is Friday, September 7th at 3:45 in the choir room. 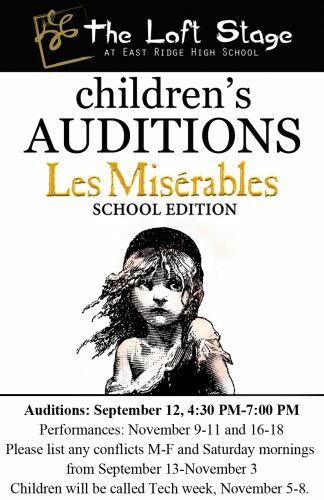 The first rehearsal will be Thursday, August 30 in the Black Box.